In 2015, under the guidance of the United Nations, the world adopted a set of goals to target many of world’s most pressing issues. 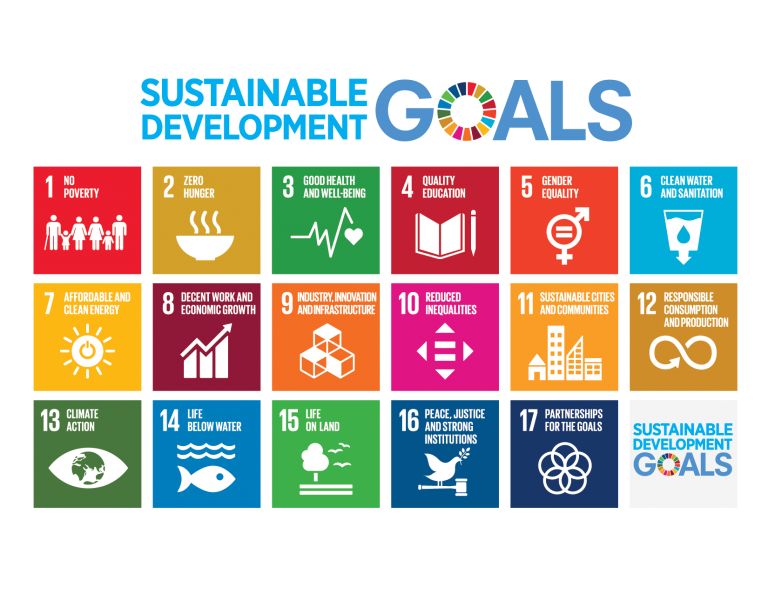 Referred to as the Sustainable Development Goals (SDGs), these 17 goals and their targets seek to end poverty, protect the planet and ensure that all people enjoy peace and prosperity by promoting inclusive, equitable, safe, and sustainable societies. The SDGs do not ignore shortcomings—they confront issues, identify root problems, and set out objectives to leave no one behind as we transform nations, cities, and neighbourhoods into places where we can all live and prosper. Learn more about the SDGs on the UN website.